On Wednesday, the National Book Award-winning author of Let the Great World Spin returns to the Bryant Park Reading Room sponsored by HSBC with another book focused on defying gravity and the unexpected human connections and consequences behind great men and great events. Join Colum McCann as he discusses his new book TransAtlantic. 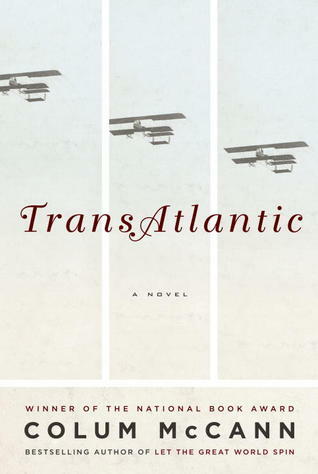 This novel follows three journeys across the Atlantic – the first non-stop transatlantic flight in 1919, Fredrick Douglass book tour in 1845 and ’46 during the Great Famine, and Senator George Mitchell’s journey to Belfast to oversee peace talks in 1998 – and a family of women who unite these separate narratives. McCann will be hosted by his former student, Jessica Soffer, who is also the author of Tomorrow There Will Be Apricots. You could win a free copy of their books. The first two people to arrive for the event after 12pm, find the Reading Room Coordinator and say the secret passcode: Transatlantic Apricots will win a copy of one of the author's books. The Reading Room is open weather permitting 11am to 7pm. Books available courtesy of publishers, while supplies last. Among the many Word for Word events taking place this week in the Reading Room, such as a Memoir Writing Workshop, an evening of Poetry readings, and a talk on the Civil War by Louis P. Masur, make sure to check out our all new Financial Literacy program sponsored by HSBC. 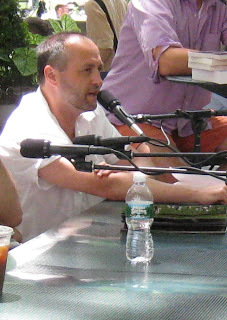 This week will feature Mark Blyth, Professor of International Economics at Brown with his book Austerity: History of a Dangerous Idea, and Peter Blair Henry, Dean of NYU's Stern School of Business, also with his book called Turnaround: Third World Lessons for First World Growth. Well-timed lectures for these economic times, which should make for a very interesting lunch talk!